Welcome to the Holiday Inn St. Louis South Hotel. Located just 15 miles from Downtown St. Louis at the intersection of Interstate 55 & Butler Hill Road (exit #195). Our St. Louis hotel is just minutes from Six Flags, Scottrade Center, Union Station, Edward Jones Dome, America's Center, Gateway Arch, Grant's Farm, St. Louis Zoo, St. Louis Science Center, Forest Park, Anheuser Busch, Metlife, Great West Life, Ameren, Magic House and the new home of the St. Louis Cardinals- Busch Stadium. 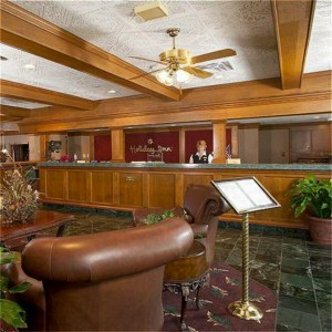 The Holiday Inn St. Louis South features Remington's Restaurant & Lounge with quality food and a relaxing environment. Afterwards, you might choose to unwind in our Holidome, featuring indoor and outdoor pools, a whirlpool, and a variety of games. When selecting a St. Louis hotel, experience quality and service at the Holiday Inn St. Louis South-Butler Hill This hotel is committed to providing accessible facilities under the American Disabilities Act. If your accessibility needs are not met, please contact the Hotel Manager on Duty. Should you require additional information regarding accessible facilities for guests with disabilities, please call 1-800-Holiday (U.S. and Canada) or contact the hotel directly. For the hearing impaired, TDD service is available at 1-800-238-5544 within the U.S. and Canada.